The aim of this study was to determine the regenerative properties of intra-articular injections of autologous platelet-rich plasma (PRP) in improving knee osteoarthritic patients and to determine the correlation of platelet count and transforming growth factor-β1 (TGF-β1) with clinical improvement. Platelets have an important role in primary as well as secondary hemostasis; however, its regenerative capability is not widely studied. Osteoarthritis (OA) is a cartilage degenerative process. No treatment is available to improve this process. The study was conducted on 28 patients suffering from primary knee OA grades II and III injected with PRP preparation after failure of conservative treatment. Patients received two injections 3 weeks apart, and then were followed up for 6 months using the Western Ontario and McMaster Universities Arthritis Index and radiography. Platelet count and TGF-β1 were measured in PRP to ensure platelet activation and release and to evaluate their role in improvement of the condition. At the end of follow-up period, there were no adverse events reported and all Western Ontario and McMaster Universities Arthritis Index parameters were significantly improved. Better results were recorded in patients with a low degree of cartilage degeneration (P = 0.004). Platelets and TGF-β1 showed a highly significant increase in PRP compared with their basal level (P < 0.001). Patients achieving an excellent response had statistically higher platelet counts and TGF-β1 in PRP. To predict excellent response to PRP, platelet count in PRP had a cutoff of 1001.25 × 109/l, whereas TGF-β1 had at a cutoff concentration of 128.25 ng/ml. Intra-articular injection with autologous PRP is a safe, minimally invasive, low-cost procedure to deliver growth factors for cartilage healing and regeneration. Hence, it is useful for the treatment of OA of the knee, aiming to reduce pain and improve knee function and quality of life. Platelet count and TGF-β levels in PRP are important predictors of improvement. Osteoarthritis (OA) is the most common form of arthritis, affecting millions of people around the world, occurring when the protective cartilage on the ends of bones wears down over time . Knee OA is more important not only for its high prevalence rate compared with other types of OA but also for its presentation in earlier age groups, particularly in younger age groups of obese women . Pain and other symptoms of OA may have a profound effect on the quality of life, affecting both physical function and psychological parameters . The treatment of OA includes a wide spectrum of approaches, but at present, with the exception of surgery, these approaches are merely palliative . Platelet-rich plasma (PRP) is blood plasma that has been enriched with platelets, as a concentrated source of autologous platelets . PRP may affect soft tissue healing by growth factors that are released after platelet degranulation, such as transforming growth factor-β1 (TGF-β1), platelet-derived growth factor, and insulin-like growth factor. The potential of a characterized platelet-derivative, known as 'preparation rich in growth factors', to enhance the limited capacity of cartilage to repair itself encouraged the idea of treating degenerative joint conditions with this autologous preparation . Because of this potential benefit, clinicians have begun to inject PRP for the treatment of tendon, ligament, muscle, and cartilage injuries and early OA . PRP is a simple, efficient, and minimally invasive method of obtaining a natural concentration of autologous growth factors from the blood . The aim of this study was to determine the nonhemostatic regenerative efficacy of intra-articular injections of autologous PRP in patients with knee OA and to determine the correlation of platelet count and TGF-β1 with clinical improvement. The study was conducted on 28 (seven male and 21 female) patients. Their ages ranged from 40 to 63 years with a mean ± SD of 53.1 ± 6.3 years and BMI ranged from 26.2 to 45 kg/m 2 with a mean ± SD of 33.9 ± 3.6 kg/m 2. They were suffering from primary knee OA grades II (19 patients) and III (nine patients). Patients were selected from outpatient orthopedic clinic at Menoufia University Hospital. An approval from the Ethics Committee of Faculty of Medicine, Menoufia University was taken. No improvement with medical treatment and physiotherapy. Quantification of TGF-β1 in the PRP prepared to ensure platelet activation. It was detected using enzyme-linked immunosorbent assay (ELISA) kit (Human TGF-β1 Platinum ELISA; Affymeteix eBioscience, San Diego, CA, USA) . The injection treatment was used for 28 patients after failure of conservative treatment. 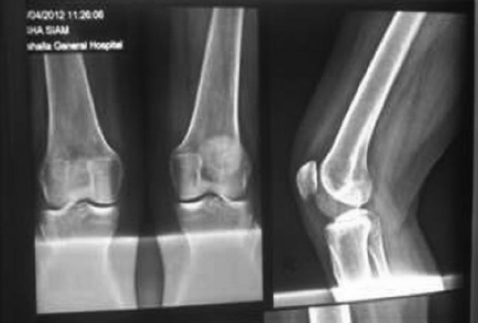 After taking patient consent, patients received two injections 3 weeks apart with 6 months of follow-up with radiograph and the Western Ontario and McMaster Universities Arthritis Index (WOMAC), which is a standardized questionnaire used by health professionals to evaluate the condition of patients with OA of the knee and hip, including pain, stiffness, and physical function of the joint. It can be self-administered and was developed at Western Ontario and McMaster universities in 1982. The WOMAC measures five items for pain (score range: 0–20), two for stiffness (score range: 0–8), and 17 for functional limitation (score range: 0–68) . After taking patient consent, we collected 50 ml of blood using vacutainer system in 10 sterile tubes each containing 750 μl acid citrate dextrose  (supplied from Spectra group company, 31 Off El Tayaran St., Rabaa Al Adaweyah, Nasr City, Cairo Governorate). Thereafter, the 10 tubes were first centrifuged at 200g for 15 min, and plasma was separated in five plain sterile tubes using sterile syringes with around 5 ml collected in each tube. After that, the five tubes containing the plasma underwent a second centrifugation at 1200g for 10 min. The supernatant containing platelet-poor plasma was discarded using sterile syringe, keeping only 1.0 ml plasma in the bottom of each tube, and platelet pellet was mixed with this 1.0 ml plasma left. Finally, 5.0 ml of PRP was collected using sterile syringe from the five tubes in one plain sterile tube. Just before injection, 250 μl of CaCl2 10% (sterilized by autoclaving and divided into sterile Eppendorfs) was added to the prepared 5 ml PRP sample (50 μl for each 1 ml PRP)  using sterile syringe. 0.5 ml was added into 2 ml plastic Eppendorf for platelet counting and estimation of TGF-β1, and the remaining 4.5 ml of activated PRP was rapidly injected into the patient knee under complete aseptic conditions using a classic lateral approach with a 22 G needle. TGF-β1 was measured by using the commercially available ELISA Kit supplied by Affymeteix eBioscience . The kit uses a double-antibody sandwich ELISA to measure the level of TGF-β1 in samples. The microtiter plate provided in this kit has been precoated with a monoclonal antibody specific to TGF-β1. Standards and samples were added to the appropriate microtiter plate wells with an assay buffer and incubated. Biotin-conjugated detection antibody was then added to each microplate well, incubated, and washed. Thereafter, a streptavidin conjugated to horseradish peroxidase was added to each well, incubated, and washed. Thereafter, TMB substrate solution was added to each microplate well and incubated. Wells exhibited a change in color. The enzyme-substrate reaction was terminated by the addition of stop solution and the color change was measured spectrophotometrically at a wavelength of 450 nm. The concentration of TGF-β1 in the samples was then determined by comparing the OD of the samples to the standard curve. The data were collected and tabulated and analyzed using statistical package for the social science (SPSS) SPSS Inc., Chicago, Illinois, USA, version 22.0 on IBM compatible computer. Data were expressed as percentage, mean, and SD. The c2-test was used to study the association between two qualitative variables. The Wilcoxon signed-rank test (nonparametric test) is a test of significance used for comparison between two related groups not normally distributed having quantitative variables. The analysis of variance (f) test is a test of significance used for comparison between three or more groups having quantitative variables. Spearman's correlation coefficient (r) (nonparametric test) is a test used to measure the association between two quantitative variables. Level of significance was set as P value of less than 0.05. The receiver operating characteristic curve is a graphic representation of the relationship between sensitivity and specificity at different cutoff points for a diagnostic test . They were used in this study to measure the diagnostic accuracy of platelet count and TGF-β1 concentration in the PRP prepared and injected in knee osteoarthritic patients. The baseline count of platelets of cases ranged from 150 to 322 × 109/l with a mean ± SD of 235.9 ± 48.6 × 109/l. Platelet count in PRP of first injection ranged from 685 to 1920 × 109/l PRP with a mean ± SD of 1189.4 ± 373.2 × 109/l, and platelet count in PRP of second injection ranged from 723 to 1972 × 109/l PRP with a mean ± SD of 1062.3 ± 282.2 × 109/l PRP [Table 1]. TGF-β1 in PRP of first injection ranged from 105 to 180 ng/ml with a mean ± SD of 136.1 ± 18.8 ng/ml, whereas TGF-β1 of the second injection ranged from 112.5 to 183 ng/ml with a mean ± SD of 131.3 ± 15.3 ng/ml [Table 2]. The clinical success of studied cases was excellent in 64.3% (18 cases), good in 28.6% (eight cases), and poor in 7.1% (two cases) [Table 3] and [Figure 1]. Figure 1: Clinical success percentage. 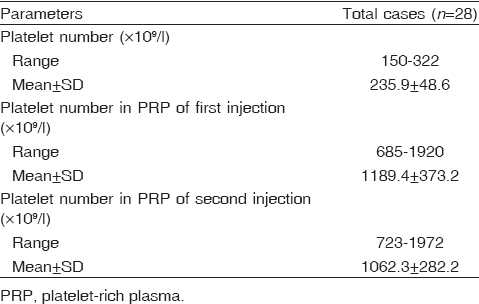 Cases that had an excellent response had a statistically higher platelet count in PRP of first injection (P = 0.002) and second injection (P = 0.03) than those who had good and poor responses [Table 4]. Similarly, they had a statistically higher TGF-β1 in PRP of first injection (P = 0.002) and second injection (P = 0.04) than those who had good and poor responses [Table 5]. There was a significant difference between excellent, good, and poor cases as regards grades of OA; grade II osteoarthritis had a better response (P = 0.004; [Table 6]). There was a positive correlation between platelet count and TGF-β1 in PRP of first and second injection [Figure 2] and [Figure 3]. 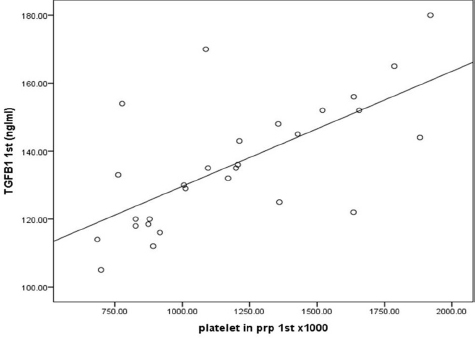 Figure 2: Correlation between platelets in PRP and TGF-β1 in PRP of first injection. PRP, platelet-rich plasma; TGF-β1, transforming growth factor-β1. Figure 3: Correlation between platelets and TGF-β1 in PRP of second injection. PRP, platelet-rich plasma; TGF-β1, transforming growth factor-β1. The cutoff platelet count of 1001.25 × 109/l predicts an excellent success with a sensitivity of 88.9%, specificity of 90%, PPV of 94.1%, NPV of 81.1%, and accuracy of 89.3%, and the cutoff level of TGF-β1 of 128.25 ng/ml predicts an excellent success with a sensitivity of 88.9%, specificity of 80%, PPV of 88.9%, NPV of 80%, and accuracy of 85.7% [Table 7] and [Figure 4] and [Figure 5]. Figure 4: ROC curve of evaluation of platelet level for the prediction of excellent success. ROC, receiver operating characteristic. 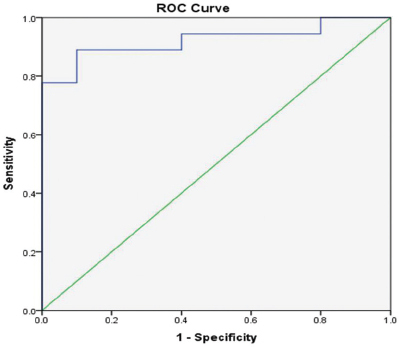 Figure 5: ROC curve for evaluating TGF-β1 for the prediction of excellent cases. ROC, receiver operating characteristic; TGF-β1, transforming growth factor-β1. There were no changes in radiography findings before injection and after 6 months of follow-up period after injection [Figure 6] and [Figure 7]. Figure 6: Primary knee osteoarthritis before injection. 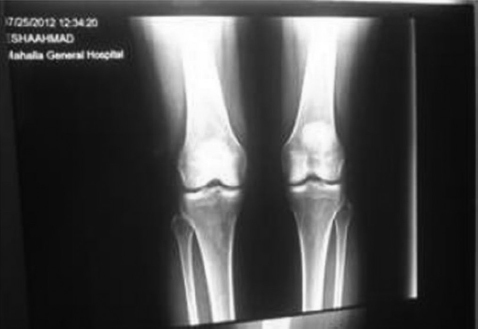 Figure 7: Primary knee osteoarthritis at 6 months after injection.
. TGF-β1 plays a major role in bone and cartilage development and is an important regulator of chondrocyte proliferation and differentiation . PRP is derived from centrifuging the person's own whole blood, which has a platelet concentration higher than that of whole blood, and is the cellular component of plasma that settles after centrifugation. Its main advantages include its availability, affordability, and minimally invasive harvest, as it is produced from the patient's own blood after collection by means of simple venipuncture and safe with no serious complications . This study tried to highlight on the application of PRP injection in primary knee OA showing its advantages and disadvantages and to correlate the clinical outcome with platelet count and TGF-β1. This study was conducted on 28 patients with primary OA grade II and grade III. They received two injections of PRP treatment and were followed up for 6 months. The follow-up was carried out with the WOMAC and radiologically using radiographs. In the present study, platelet count increased 4–6-fold in PRP compared with their counts in peripheral blood. 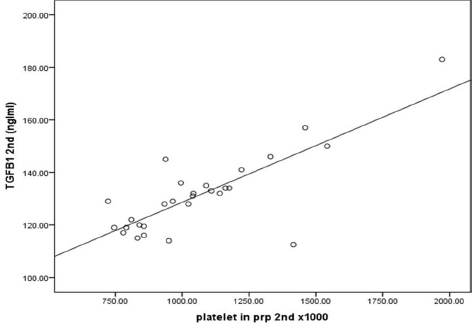 There was a highly significant difference between platelet number in PRP and their number in peripheral blood (P < 0.001), and there was a significant difference between platelet number in PRP and clinical improvement (P = 0.001). This proved that the platelets in PRP had an effective role in OA treatment; this platelet preparation had an increased platelet concentration, which was activated to release growth factors that had a role in reducing pain and clinical improvement. This is in agreement with the study by Marco et al. , who reported that PRP should have a platelet concentration at least 200% to eight times of the basal peripheral blood platelet count. This is also in agreement with the findings of Eduardo et al. , who reported that the clinical efficacy of PRP preparations is expected to show a 2–6-fold increase in platelet count from baseline value. In the present study, TGF-β1 increased 6–8-fold in the PRP prepared than in its plasma basal level, and there was a direct correlation between TGF-β1 and platelet counts in PRP (P < 0.001). This is in agreement with the findings of Marco et al. , who reported that the number of platelets is a crucial point in determining the total amount of growth factor administered, and is in agreement with the study by Xuetao et al. , who reported that variations in the initial volume of whole blood used as well as the efficiency of platelet preparation varies markedly among PRP techniques and was associated with high variations in growth factor concentration and availability from 3 to 27-fold. This is due to the release of TGF-β1 in PRP from α-granules, and also these results are in agreement with the findings of Nuukhet et al. , who reported that the higher the concentration of platelets obtained from the centrifugation of autologous blood, the higher the concentration of growth factors in PRP. The present study proved a significant association between TGF-β1 level in PRP and clinical improvement (P = 0.002); this proves its effective role in improvement of OA. This is in agreement with the findings of Eduardo et al. , who reported that intra-articular infiltrations of preparation rich in growth factor in patients with knee OA reduce the pain and therefore are clinically efficacious in OA treatment, and Blaney et al. , who reported that TGF-β1 is essential for cartilage integrity and is a powerful tool to prevent or repair cartilage damage, and hence it is effective in OA improvement. The present study showed a significant association between grade of osteoarthritis and clinical success (P = 0.004); the greater the increase in grade of OA, the less the improvement. This can be attributed to the fact that the older and more degenerative joints tend to have less viable cells and hence a smaller potential for growth factor response. This is in agreement with the findings of Chiang et al. , who reported better results achieved in patients with a low degree of cartilage degeneration. This is in agreement with João et al. as well, who reported that more degeneration of knee joint resulted in a decreased potential for PRP injection therapy, and is in agreement with the findings of Paul et al. , who reported that the improvement was mainly achieved in patients not affected by advanced degeneration. In the present study, the cutoff level of platelets needed to produce significant improvement was 1001.25 × 109 platelets/l in 5 ml. This can predict excellent success, with a sensitivity of 88.9% and a specificity of 90%, PPV of 94.1%, NPV of 81.1%, and accuracy of 89.3%. These results are nearly similar to the findings of Belén et al. , who reported that PRP containing 1 000 000 platelets/μl was needed and lower concentrations do not lead to the same healing effect. In the present study, the level of TGF-β1 at a cutoff point of 128.25 ng/ml predicts an excellent success, with a sensitivity of 88.9%, specificity of 80%, PPV of 88.9%, NPV of 80%, and accuracy of 85.7%. This is attributed to the properties of TGF-β1 as an especially significant factor in chondrogenic differentiation of MSCs, and numerous research studies have been reported on correlation between TGF-β and chondrogenesis . The present study showed an overall success rate of 92.8%; around 64.3% of cases had excellent results (18 cases), around 28.6% had good results (eight cases), and 7.1% had poor results (two cases). As a concentrated form of autologous platelets, PRP contains and releases through degranulation several growth factors that stimulate healing of cartilage, and hence improves pain, dysfunction, and the osteoarthritic condition. This is in agreement with the findings of Francesca et al. , who reported that the use of PRP leads to clinical improvements in the pain and dysfunction that result from knee OA. Xie and colleagues  also reported that a series of intra-articular injections of PRP provide some short-term clinical benefit in symptomatic arthritis of the knee as demonstrated by improved clinical scores and decreased pain at 6-month follow-up. Marco and colleagues  reported that patients were satisfied after PRP treatment and they maintained these positive results for at least 12 months without other medications or treatments. Hunziker and colleagues  reported that PRP injection for knee OA is efficacious up to 6 months. João and colleagues  also reported a statistically significant improvement in the scores in patients who received PRP injections after 3–6 months of follow-up. In the present study, no obvious changes were found in radiographs performed 3 and 6 months after injection. This can be attributed to the fact that PRP cannot affect bone changes in such a short duration of follow-up. However, patient satisfaction and clinical improvement achieved may be attributed to the healing of ulcers and other soft tissue injuries. Intra-articular injection of autologous PRP is a safe, minimally invasive, low-cost procedure to deliver growth factors for cartilage healing and regeneration, and hence it is useful for the treatment of OA of the knee, aiming to reduce pain and improve knee function and the quality of life. Platelet count and TGF-β levels in PRP are important predictors of improvement. This study recommends that the initial amount of blood drawn (according to patient blood platelet count) be changed to ensure an adequately high PRP platelet count (≥1001.25 × 109 platelets/l in 5 ml) and subsequent high dose of growth factors to achieve improvement of OA. Goldman L. Cecil medicine. 24th ed. Philadelphia, PA: Saunders Elsevier; 2012. Available at: http://www.mdconsult.com/das/book/body/191371208-2/0/1492/0.html#. [Last accessed 2015 Jan 15]. Altman R. Early management of osteoarthritis. Am J Manag Care 2010; 22:S41–S47. Bliddal H, Christensen R. The treatment and prevention of knee osteoarthritis: a tool for clinical decision-making. Expert Opin Pharmacother 2009; 10:1793–1804. Schmidt M, Chen E, Lynch S. A review of the effects of insulin-like growth factor and platelet-derived growth factor on in vivo cartilage healing and repair. Osteoarthritis Cartilage 2005; 14:403–412. Borrione P, Gianfrancesco A, Pereira M, Pigozzi F. Platelet-rich plasma in muscle healing. Am J Phys Med Rehabil 2010; 89:854–861. Sanchez M, Anitua E, Azofra J. Intra-articular injection of an autologous preparation rich in growth factors for the treatment of knee OA: a retrospective cohort study. Clin Exp Rheumatol 2008; 26:910–913. Cole BJ, Seroyer ST, Filardo G, Bajaj S, Fortier LA. Platelet-rich plasma: where are we now and where are we going? Sports Health 2010; 2:203–210. Foster T, Puskas B, Mandelbaum B, Gerhardt M, Rodeo S. Platelet-rich plasma: from basics cienceto clinical applications. Am J Sports Med 2009; 37:2259–2272. Affymetrix eBioscince. Human TGFB-1 PLATIM = NIUM ELISA. Available at: http://www.eBioscience.com/distributors.PDF. [Last accessed on 2015 Jan]. Quitana J, Escobar A, Arostegui I, Bilbao A, Azkarate J, Goenaga JI, Arenaza JC. Health-related quality of life and appropiateness of knee or hip joint replacement. Arch Intern Med 2006; 166:220–226. Olivier B, Laurent G, Julie V, Jeremy M, Jean-Marie C, Guy M, et al. Formulation and storage of platelet-rich plasma homemade product. Biores Open Access 2012; 2:1–9. Anitua E, Sánchez M, Orive G. Shedding light in the controversial terminology for platelet rich products. J Biomed Mater Res A 2009; 90:1262–1263. McArthur BA, Dy CJ, Fabricant PD, Gonzalez DV. Long term safety, efficacy, and patient acceptability of hyaluronic acid injection in patients with painful osteoarthritis of the knee. 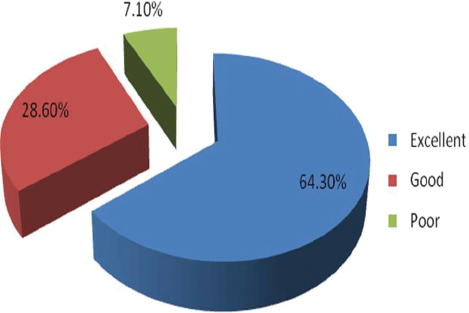 Patient Prefer Adherence 2012; 6:905–910. Rayegani SR. Does intra articular platelet rich plasma injection improve function, pain and quality of life in patients with osteoarthritis of the knee? a randomized clinical trial. Orthop Rev 2014; 6:112–127. Gobbi A, Karnatzikos G, Mahajan V, Malchira S. Platelet-rich plasma treat- ment in symptomatic patients with knee osteoarthritis: preliminary results in a group of active patients. Sports Health 2012; 4:162–172. Kon E, Mandelbaum B, Buda R. Platelet-rich plasma intra-articular injection versus hyaluronic acid viscosupplementation as treatments for cartilage pathology: from early degeneration to osteoarthritis. Arthroscopy 2011; 27:1490–1501. Marco P, Andrea B, Alberto B, Ovidio B, Sandro B, Achille P, et al. Appropriateness of clinical and organizational criteriafor intra-articular injection therapies in osteoarthritis. Ann Ist Super Sanita 2015; 51:131–138. Joseph S, Jeffrey L, Zachary K, Fernando J, Cabrera FJ, Bradley K, Warren A. Platelet rich plasma enhances tissue incorporation of biologic mesh. J Surg Res 2015; 199:412–419. Hunziker E, Lippuner K, Shintani N. An educational review of cartilage repair: precepts & practice e myths & misconceptions e progress & prospects. Osteoarthritis Cartilage 2015; 23:334–350. Anitua E, Sánchez M, Aguirre JJ, Prado R, Padilla S, Orive G. Efficacy and safety of plasma rich in growth factors intra-articular infiltrations in the treatment of knee osteoarthritis. Arthroscopy 2014; 30:1006–1017. Xie X, Ulici V, Alexander PG, Jiang Y, Zhang C, Tuan RS. Platelet-rich plasma inhibits mechanically induced injury in chondrocytes. Arthroscopy 2015; 31:1142–1150. Nuukhet K, Burcu B, Emrah S, Zeynep B, Canay Y, Esra B, et al. Effect of platelet-rich plasma on fibrocartilage, cartilage, and bone repair in temporomandibular joint. J Oral Maxillofac Surg 2014; 72:277–284. Blaney D, Kraan P, Berg W. Osteoarthritis and cartilage vol. Arthritis Res 2007; 15:597–604. Chiang C, Chen W, Liu H, Chen C. Application of synovial fluid mesenchymal stem cells: platelet-rich plasma hydrogel for focal cartilage defect. J Exp Clin Med 2014; 6:118–124. João P, Fernandes G, Marcus VD, Alexandre OQ, Elenice D, Rosana RF. Platelet-rich plasma (PRP) applied during total knee arthroplasty. Rev Bras Ortop 2015; 50:186–194. Paul O, Geoffroy N, Francis B, Jérémie S, Pascal R, Xavier C. Under the aegis of the osteoarthritis section does platelet-rich plasma have a role in the treatment of osteoarthritis? Joint Bone Spine 2015; 7:81–82. Belén C, Mónica R, Ramón C, Montserrat GB, Elena D, Joaquín JS, Jose M. New approaches in the treatment of osteoarthritis. Int J Orthop 2015; 2:210–218. Johnstone B, Hering TM, Caplan AI, Goldberg VM, Yoo JU. In vitro chondrogenesis of bone marrow-derived mesenchymal progenitor cells. Exp Cell Res 1998; 238:265–272. Francesca V, Berardo D, Giuseppe F. Platelet-rich plasma to treat ankle cartilage pathology from translational potential to clinical evidence. J Exp Orthop 2015; 2:42–47.